Bring on additional Programming support. COMPLETE! We added Andrew Severs to the team in November. Since then he’s programmed the S.T.O.R.E., the Crusher Battle seen at PAX, Utility Items, and is currently working on Campaign Mode! Additional art support allowing for more game content: art, animations, and special effects. COMPLETE! We added Jillian Stiles to the team in September where she’s assisted with multiple efforts, along with making some of the awesome propaganda pieces andwallpapers you’ve seen shared on the interwebs! Promotional support allowing us to demo the game at venues such as Penny-Arcade Expo South in San Antonio, TX this past January. COMPLETE! We’ve taken Hive Jump to PAX PRIME, PAX South, Pixel Pop Festival and several other venues getting gamers excited and gathering valuable player feedback on the game so far! Now that we’ve got the administrative notes out of the way, let’s get to the good stuff! We’ve been hard at work implementing player profiles, planetary campaigns, and merging that experience in with the in-hive gameplay. Here are a few W.I.P. screenshots to get you pumped up for commanding Jumpers on a planetary scale! Campaigns will progress sequentially, so you’ll have to defeat the Easy campaign before moving onto harder difficulties and pushing deeper into Alien infested space! Planetary map screen. 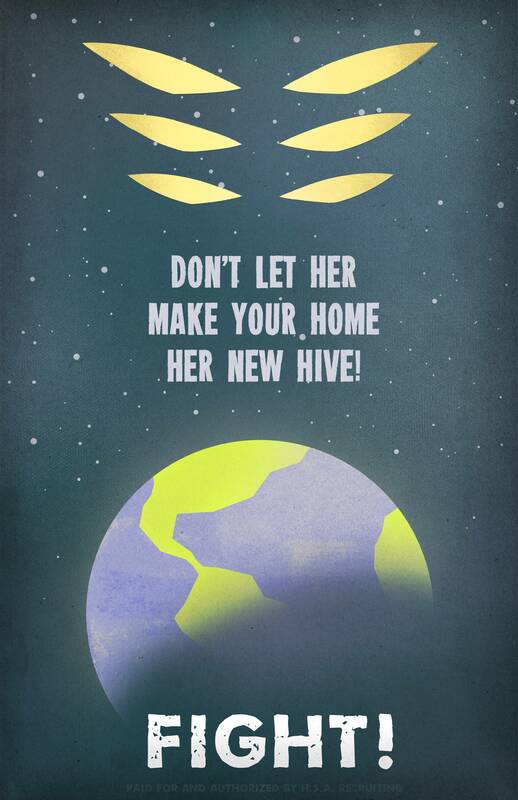 Fight hive-by-hive to reclaim the planet for humanity! The harder a planetary campaign is, the more infested the planet is with alien hives. Start taking the planet back by jumping into hives and delivering a devastating nuclear payload to cleanse it. Early concept of nuking a hive… for great justice!!! Once an area is secure, establish a human base and fortify it against alien counter-attack. 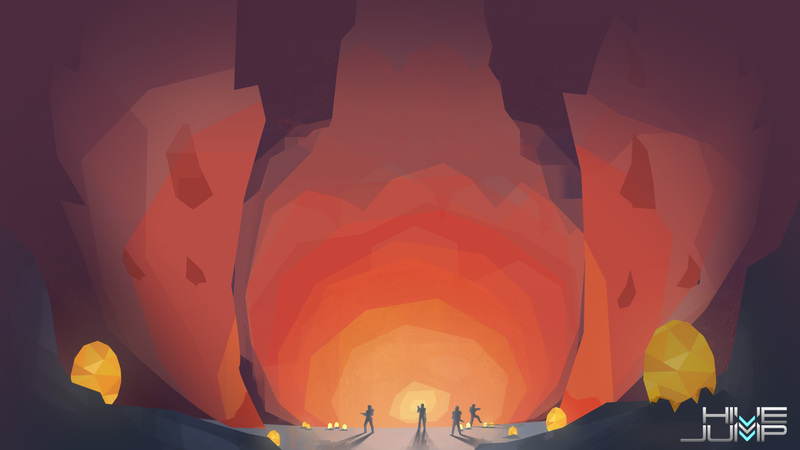 Destroy every hive on a planet to reclaim it for humanity and win the campaign. We’ve also been revamping the way our swarms of aliens work in preparation of adding the network code for online multiplayer! Not only do our swarm look SWARMIER now, but can have one-hundred fliers in a swarm and be able to treat them as one object as far as network programming works. We’ll be sure to have John Mikula do a write-up of how it all works sometime, but for now you can just sit back, relax, and enjoy the carnage! 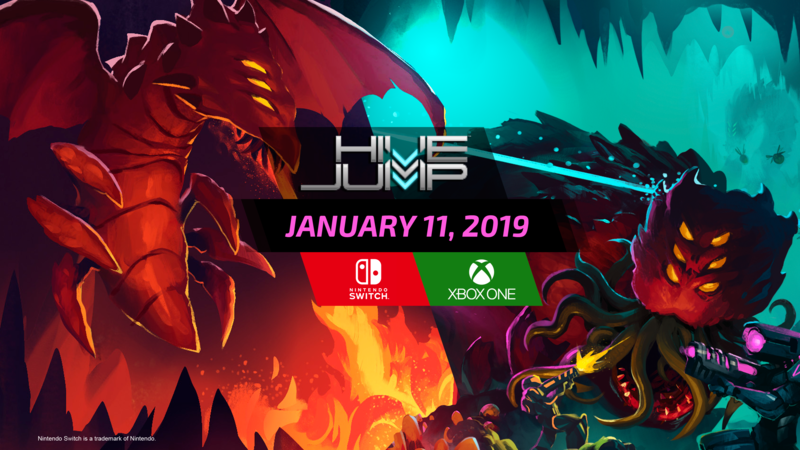 Many of you wonderful backers, as well as newer pre-order supports, have been asking where the best place to get Hive Jump news is, and how we can get together as a community to discuss all things Hive Jump! Well we’ve listened, and are starting to get our Hive Jump forums up and running! We’ll be implementing the Vanilla forum software on our web-servers, skinning the forum, crafting our categories and rules, and then sending out invites to all of you! We hope to have the community page up and running in June or July. Also, those of you who backed at the $35+ tier will get access to the private developer forum as well! FAQ: When do I get my sweet physical rewards? We’d planned on shipping these out earlier this year, but it became a challenge since many of our items need to be ordered in bulk to keep things economical for everyone. So this means we need to produce all of the goods at once and ship them all at once. Because many backers are owed physical copies of the game (and that isn’t done) or art books (the art’s not finished) we can’t yet start the shipping process for physical goods. Thanks for bearing with us! Since we can’t get all the physical rewards out right away, we’ve been hard at work getting the digital ones represented in the game! We have all of your Jumper Names attached to newly spawned jumpers! All 1808 backersthat responded to our survey now appear as named jumpers in the game. We will also be launching the Forums in the next month or two. Finally, as part of our next big push on Story, we’ll be crafting the backer NPC sprites for the 37 backers who pledged at the $150+ tier. Expect to see a few of those in the next update! As you all know, we’re from St. Louis, and this month we’re really excited to support another great Kickstarter from our home town! Bloxels is an innovative new way to create and interact with video games! Use blocks to design your levels, scan your design with your smart device, and then play a great Zelda-like adventure that either you or your friends helped design! Go check out their Kickstarter and give them the Hive Jump bump! As always, please feel free to ask questions or make comments below! The team is looking forward to hearing from you and responding!